Brian Moses is a stand up, host, writer and producer. He is the creator and Host/Referee of Roast Battle, in which comics go toe to toe in a no-holds-barred verbal boxing match. The show will air as a series on Comedy Central with Brian Executive Producing alongside Roastmaster, Jeff Ross. Brian writes for MTV’s Wild ‘N Out and has featured for comics like Cheech & Chong, Sarah Silverman, and Bill Burr. One of his goals is to become friends with more black people so he can get his hair braided for free. Hailing from Baltimore, Maryland, Josh Adam Meyers is an entertainer. Mixing standup comedy and musical performances with his band, Josh has been taking Los Angeles by storm over the past few years. He was chosen as a "New Face" at the prestigious Montreal Just For Laughs Comedy Festival in 2013. He also is the Host and Creator of The Goddamn Comedy Jam, a show where ever comic gets to be a rockstar. Born in July of 2014, The GDCJ showcases "A List Comedians" doing standup sets followed by a cover song with The Goddamn Band making it the most sought after ticket in Los Angeles. By 2015 the live show was on the road to some of the biggest festivals in North America including Bonaroo, Outside Lands, Bumbershoot, Moontower, New York Comedy Fest, and multiple night runs at the Just for Laugh Festival. 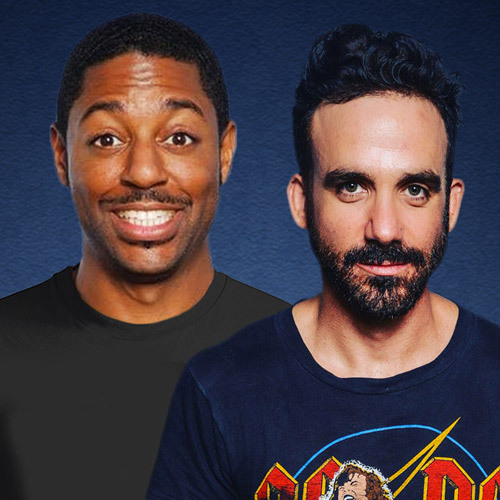 In Aug of 2016, Comedy Central premiered the GODDAMN COMEDY JAM Comedy Special with an A-list line up, and subsequently picked up the show as a series, due out in early 2017.